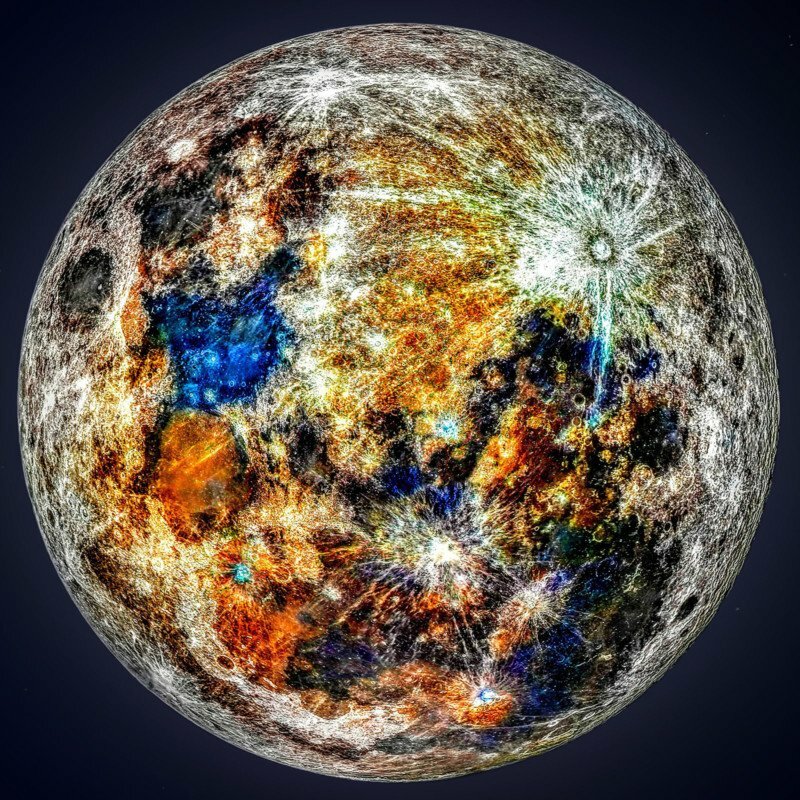 Sacramento-based astrophotography enthusiast Andrew McCarthy extracted color data from 150,000 photos of the moon to create this enhanced photo showing all the different splashes of color on the surface left by impacts of different minerals. McCarthy created this photo while shooting his ultra-high-resolution 81-megapixel supermoon photo that combined 50,000 shots. McCarthy shot all the images with the Orion XT10 telescope, a Skywatcher EQ6-R Pro computerized equatorial mount, a ZWO ASI224MC color astronomy camera, and the Sony a7 II full-frame mirrorless camera.